Just 175 miles off the coast of Palm Beach, Florida, you can find the spectacular Abacos Islands. 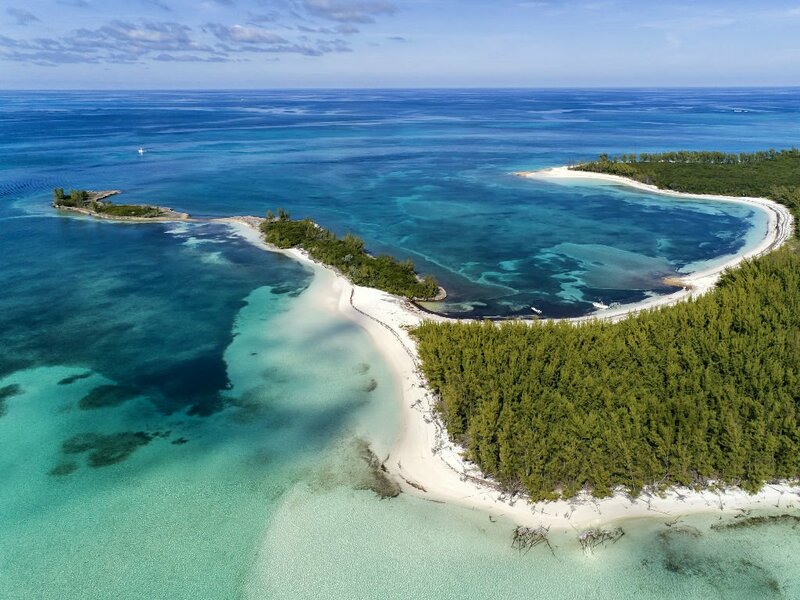 These Bahamian islands, in the calm, turquoise Sea of Abaco, are a wonderful place to experience the pleasures and adventure of a private yacht charter. 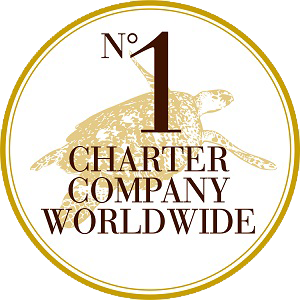 The Abacos chain of islands is situated in the northern part of the Bahamas. 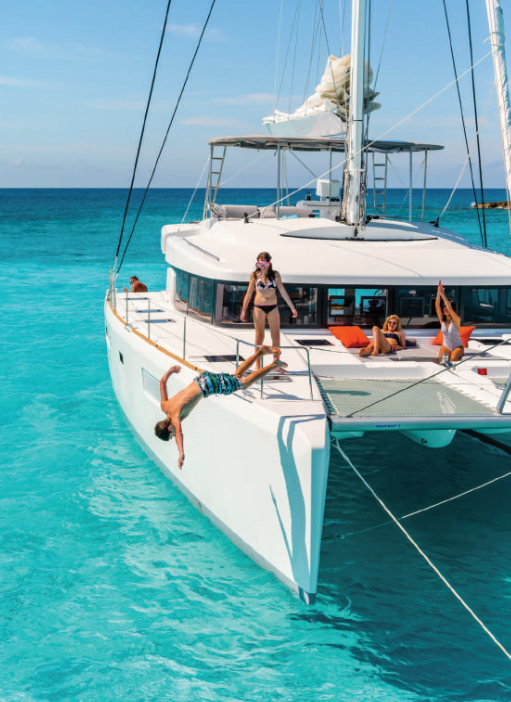 Truly a perfect sailing destination, the Bahamas are made up of 29 islands boasting 661 cays and 2,400 inlets to be explored. 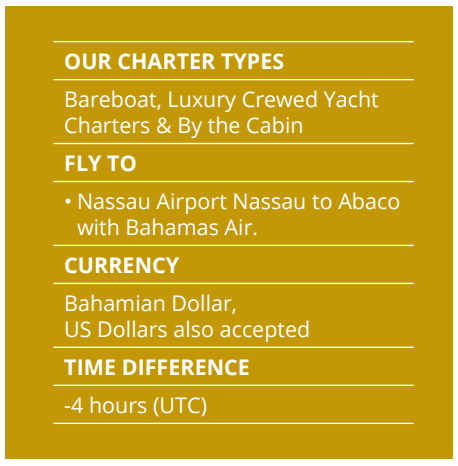 Great Abaco Island is the home of Dream Yacht Charter’s base in the Bahamas, located at Marsh Harbour, the capital. This spot offers the ideal gateway to exploring the Abacos Islands. Laid out in a half moon shape, the Abacos Islands extend approximately nearly 130 miles in length. The northernmost point is Walkers Cay in the north with Hole-in-the-Wall bringing up the southern tail. The ocean waters surrounding the islands are blessed with serenity, due to the natural protection offered by the outermost islands and cays. Great Abaco is the second largest Bahamian island, and experiences lovely mild temperatures. In the summertime, one can expect averages of 27°C/82°F and winter is a beautiful 10°C/50°F. The Abacos Islands are bursting with wildlife. As you sail between the islands, you’ll discover countless tropical fish, and spot over 200 bird species, such as the Green Bahamian Parrot. The wildlife, as well as incredible reefs and lush vegetation, make the Abacos a superb location for snorkelling, swimming, and walking. 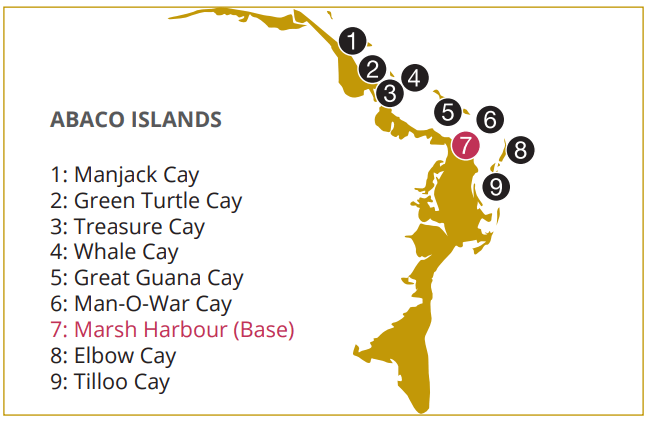 On your yacht charter, you’ll want to spend time exploring five cays: Walkers Cay, Man-O-War, Great Guanna, Elbow Cay, and Green Turtle Cay. You can spend a day or two traveling along Green Turtle, with it’s stilted coastline. As you journey, you’ll see impressive bays and discover stunning white sand beaches. Make sure to stop off at lovely Gillam Bay and Coco Bay. An inhabited cay, Green Turtle has a diverse community with a pleasant and welcoming environment. For a historical delight, head over to Hope Town, famous for its boat building. Settled by British loyalists in 1785, the island is filled with many fine examples of British colonial architecture. Enjoy Butterfly House and Toad Hall, which was from 1880. In 1863, amidst strong opposition, the British Imperial Lighthouse Service built a lighthouse to point to the nearby Elbow Cay Reef. The lighthouse is still in operation, due to the tremendous efforts of the locals to keep it in service.